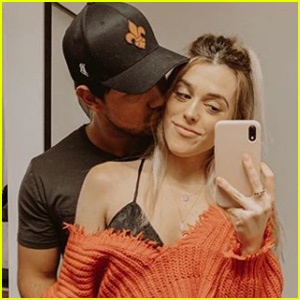 Taylor Lautner Photos, News, and Videos | Just Jared Jr.
Taylor Lautner and his girlfriend Tay Dome step out for a date night! The Abduction star and Tay attended DAOU Vineyards’ “Soul of a Lion” dinner at Lionfish restaurant at Pendry San Diego on Thursday (April 11) in San Diego. Chef JoJo Ruiz highlighted the wines with a Uni Creme Brulee Tart, Shrimp Toast, Baja Stripped Sea-Bass Tar Tar, Roasted Bone on Lamb T Bone with Beets and Berries Marmalade in Peppercorn Sauce sided by Mustard Greens. Dessert consisted of a Hazelnut Chocolate Mouse with Toffee Crunch and White Chocolate Raspberry Sorbet. Following dinner, the group enjoyed a nightcap and dancing at Oxford Social Club. ICYMI, Taylor recently reacted to his sister Makena‘s engagement. Taylor Lautner had “one of the biggest moments of his life” last night! The Abduction actor’s younger sister Makena got engaged on Friday (April 5). ICYMI, Taylor also recently penned a sweet birthday note for his girlfriend Taylor (they met through Makena). 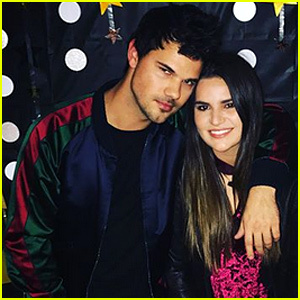 Taylor Lautner got to celebrate his birthday in a big way this week! The former Twilight star’s girlfriend, Taylor Dome, threw the actor a party for his 27th birthday and one of his Twilight co-stars was there – Kristen Stewart! In a slideshow of pics, Taylor showed off some of happy moments from the bash. “Thank you @taydome for the best birthday EVER. I’ve never been more surprised in my life,” Taylor captioned the pic. Patrick Schwarzenegger, Chris Titone, sportscaster Meghan Payton, and more were at the party. It’s the 10 year anniversary of the theatrical release of Twilight, and Jacob Black…we mean, Taylor Lautner is paying tribute to the film that made him a household name. Celebrating the day with a funny meme on Instagram, Taylor shared how thankful he was for the movie franchise.